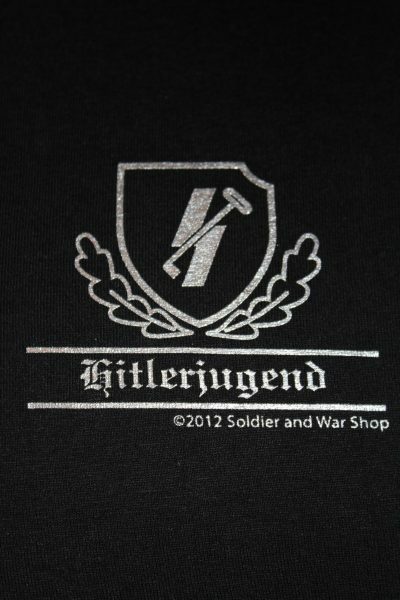 The 12th SS Hitlerjugend Armored Division T-Shirt shirt is a single sided print in black. 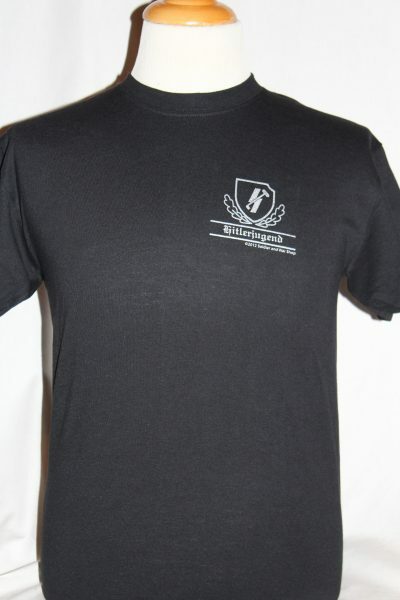 Front Design Only: Left chest insignia of the 12th SS Hitlerjugend Division with text. Enlisted personal drawn from the Hitler Youth organizations. The officer's and NCO's were from other SS Divisions. Distinguished itself in the battles at Normandy.